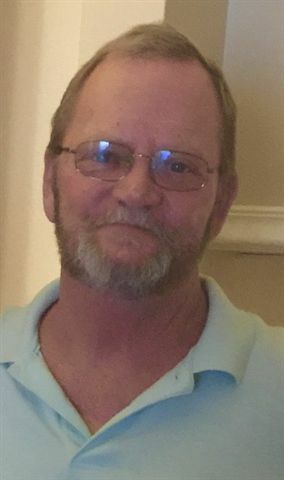 Terry Michael Carman, age 59 of Hardinsburg, KY died Saturday, January 12, 2019 at Breckinridge Memorial Hospital. He was born in Hardinsburg, KY on November 18, 1959, the son of the late Lottis and Oma Armes Carman. Terry was a kind man with a very big heart. He was very generous to his family and friends and he was a big supporter of St. Jude Children's Hospital. He enjoyed playing golf, traveling and riding his motorcycle. Terry started his career as a machinist in Newport News, VA building submarines. From there he moved to California where he owned a delivery route for a water company. He came back to Kentucky and worked as an equipment operator for the Kentucky State Highway Department. In addition to his parents, he was preceded in death by his siblings: Anna Barbara Lockard, Larry, Ronnie and Donnie Carman. Funeral services will be held at Trent-Dowell Funeral Home 308 South Hardin Street Hardinsburg, KY 40143 on Wednesday, January 16, 2019 at 12 PM with burial in the Fairview Cemetery. Visitation will be held on Tuesday, 4-8 PM and Wednesday after 8 AM. Expressions of sympathy are suggested to Fairview Cemetery or St. Jude Children's Hospital.